Crime up in our gorgeous burg. Photo by Johannes Kroemer, a Carroll Gardens photographer. Crime is up again in our relatively tranquil corner of Brooklyn. Major crimes are up 8 percent over last year in the precinct that covers Carroll Gardens, Cobble Hill, Red Hook and swaths of Boerum Hill and the Gowanus area. It’s one of the biggest crime increases in the city, said Capt. Jack Lewis, commander of the 76th Precinct, located on Union between Henry and Hicks. Robberies – the taking of property with the use of force, usually a punch, push or slap — are fueling the increase. Robberies are up 38 percent from last year, mimicking a 40 percent spike in 2010 over 2009. Just this week, on Monday and Tuesday, three robberies happened at Degraw and Hoyt streets. In one case, a woman, who lives in Red Hook, was jogging near there, with her iPad, and using an attachment that shows how far she’d run. A group of teen boys asked her for the time. She stopped, and they snatched her iPod. Lewis addressed the trend at the Carroll Gardens Neighborhood Association meeting Wednesday night. He said the increase occurred in July and August. In almost all cases, the perpetrators are groups of three or four teen boys, from 14 to 16, and the victims are people in their 20s and 30s. “Very few victims are older than 50,” Lewis said. “A lot of these incidents are impulse crimes. They see things that are expensive that they want, and they grab it,” Lewis said. Most of the robberies take place in Red Hook, with perpetrators from the Red Hook community houses, Lewis said. Only this week were there incidents around the Gowanus Houses, a development of 2,000 residents bordered by Hoyt, Warren, Baltic and Bond. Eighty-eight robberies have occurred this year, compared to 62 last year. In many cases, the police know the perpetrators. “We’re making the arrests,” Lewis said. In July, a spate of armed robberies took place in Red Hook and around the Smith and 9th Street subway station. But the police arrested some teens from Park Slope, and the incidents have ceased, Lewis said. 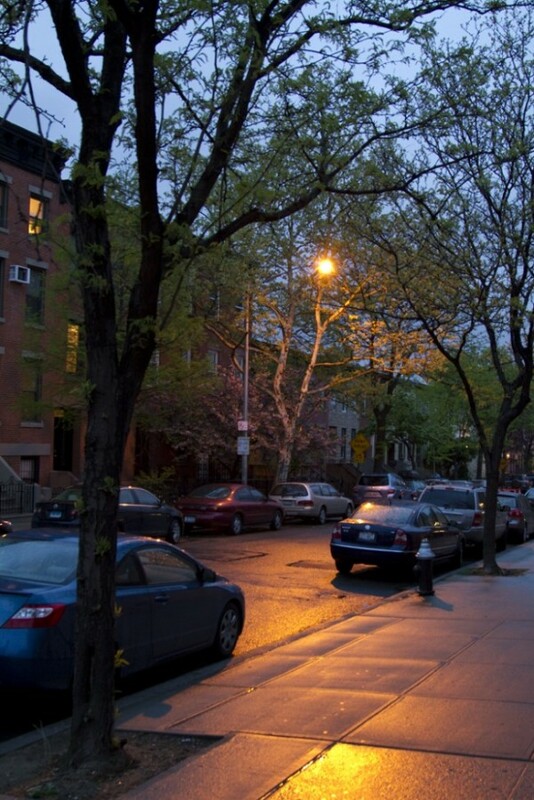 In addition, a spate of burglaries occurred in August in Cobble Hill, around Clinton Street. Homes were entered through the front window near brownstone steps. Many times, the burglars look for open windows, Lewis said. Identification theft is also up 13 percent, primarily due to a woman who was using a screwdriver to bust into the car windows of people swimming at Red Hook pool. The police caught her with 10 days of stolen property in her own vehicle, Lewis said. She also had $472 in cash she’d just stolen from a car. Lewis urged local residents not to leave valuables and cash in their cars. In addition, apparently, using an iPhone while walking is a dangerous activity. In addition to these concerns, there’s the constant swiping of bicycles. “This summer was particularly bad for stolen bicycles,” Capt. Lewis said. People are buying $700-plus bikes and chaining them on the street, while thieves walk around with chain cutters, Lewis said. Lewis conducted a sting—an officer brought a bike from home and left it on Smith Street, unchained. “It wasn’t there for 10 seconds,” before someone took it, Lewis said. The two men arrested in the case had 30 prior arrests. Many times, the bikes are sold to restaurants, which use them for delivery, Lewis said. “If the bikes are expensive, it’s an invitation to steal them,” he said. The iPhones are often sold to bodegas, as well as overseas, where they sell for upwards of $1,000, he said. Lewis said many precincts are experiencing upticks in crime, as neighborhoods rapidly change, such as Williamsburg and Bedford-Stuyvesant. When young kids are involved in crimes, the police visit their homes and schools, and talk to parents, teachers and counselors to try to get the kids on the right track. Lewis encouraged people to call 9-11—If you are robbed, obviously, or if you notice someone casing the street, or even for something such as witnessing someone riding a bike fast down a sidewalk. “If you don’t report it, it’s like a tree falling in the woods. Nobody sees it,” Lewis said.